St. Supery Winery in California officially started the International Sauvignon Blanc Day when they hosted a global social media tasting six years ago with the intention of spreading the word about this often zesty, rather quaffable varietal. 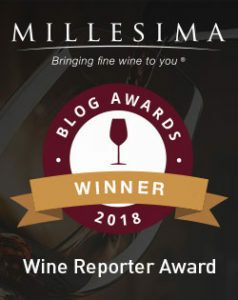 But the folks in New Zealand are taking the lead this year and kicking off celebrations around the world with events and wine tastings highlighting Sauvignon Blanc in London, Tokyo, New York, Hong Kong, Germany and Melbourne. But if you’re like me and not anywhere near these events, why not pick up a bottle of Sauvignon Blanc and join me in celebrating at home. I thought what better way to honor this fun initiative than with a widely available perennial favorite: the 2014 Kim Crawford Sauvignon Blanc from Marlborough, New Zealand. Plus, Marlborough also happens to be my absolute favorite region for Sauvignon Blanc. While Sauvignon Blanc from California often exhibits ripe tropical fruit with a nice crisp profile, New Zealand ones are often more herbaceous and more viscously textured. I just can’t get enough of their exuberant, grassy, bright citrus-infused personalities and I’m looking forward to seeing if the just released 2014 vintage of the Kim Crawford Sauvignon Blanc is as reliably good as previous vintages have been. Frankly, while some are definitely better than others, I’ve yet to come across a New Zealand Sauvignon Blanc I didn’t enjoy! Nose: There are powerful aromas of grass and lime citrus framed by hints of sweet melon and honeysuckle. 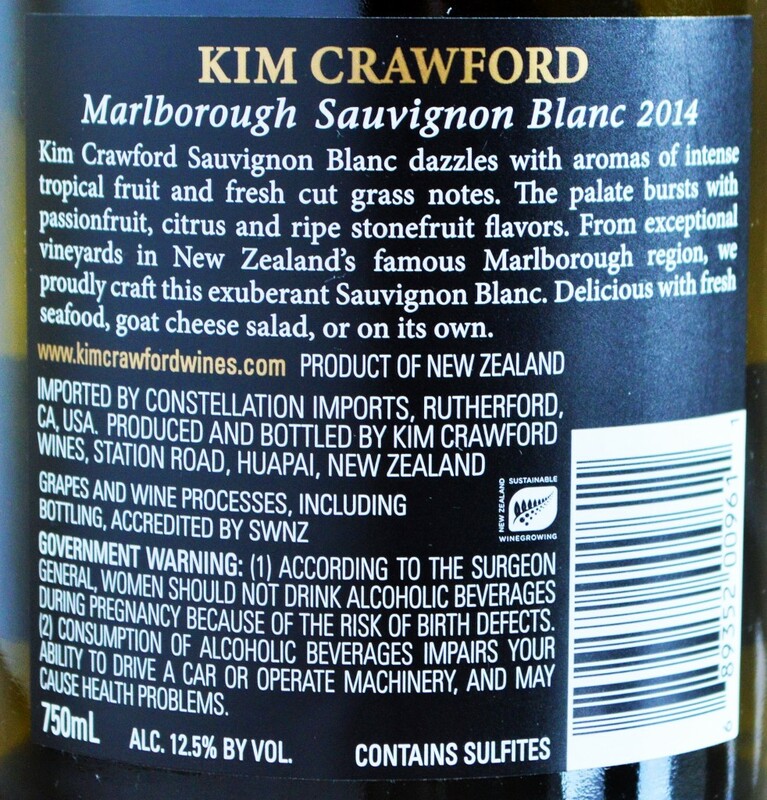 On the palate: The Kim Crawford Sauvignon Blanc is medium bodied and surprisingly smooth in the mouth – it doesn’t have the sharper, sometimes piercing and tangy acidity that many New Zealand Sauvignon Blanc’s do. This soft, polished effort offers balanced and well textured flavors that mimic it’s nose along with white pepper and a lingering, subtle spice on the finish. A very nice, elegant wine but I prefer a but more intensity and verve in my Sauvignon Blanc’s. Pairs Well With: Light salads, goat cheese, white fish, white meats, shellfish and patio sipping on sunny days! Should you buy? 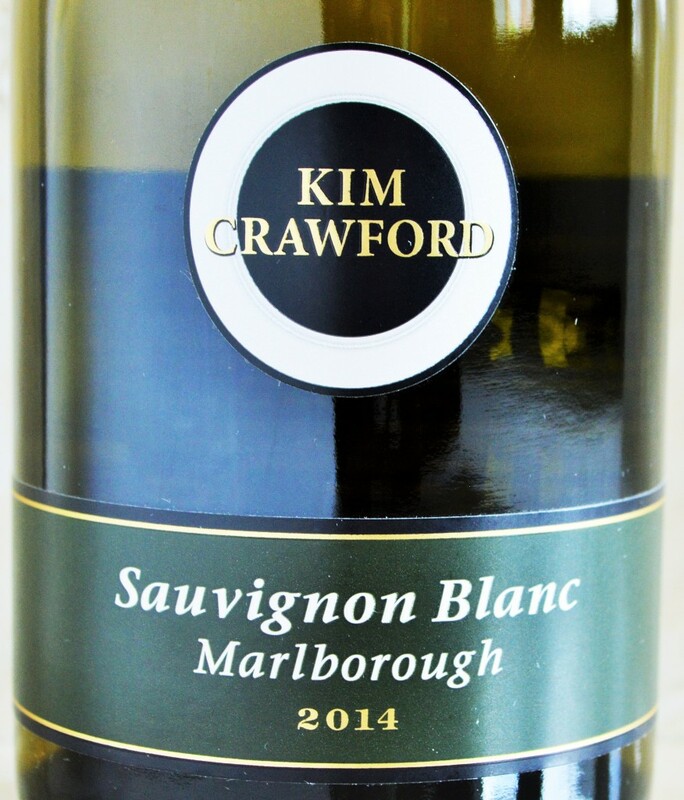 If you find New Zealand Sauvignon Blanc too tart or acidic then the Kim Crawford Sauvignon Blanc’s polished, well-balanced personality is sure to please. This is a good Sauvignon Blanc to convert Chardonnay drinkers! Well one thing’s for sure… the Kiwi’s take their Sauvignon Blanc seriously! Not only does it grow incredibly well there due to to the incredibly sunny days and cool evenings that characterize this region, it sells incredibly well to. In fact, 86% of Marlborough’s wine production in 2014 was of Sauvignon Blanc and it accounted for more than $1 billion worth of exports alone in that year according to Sauvignon2016.com. 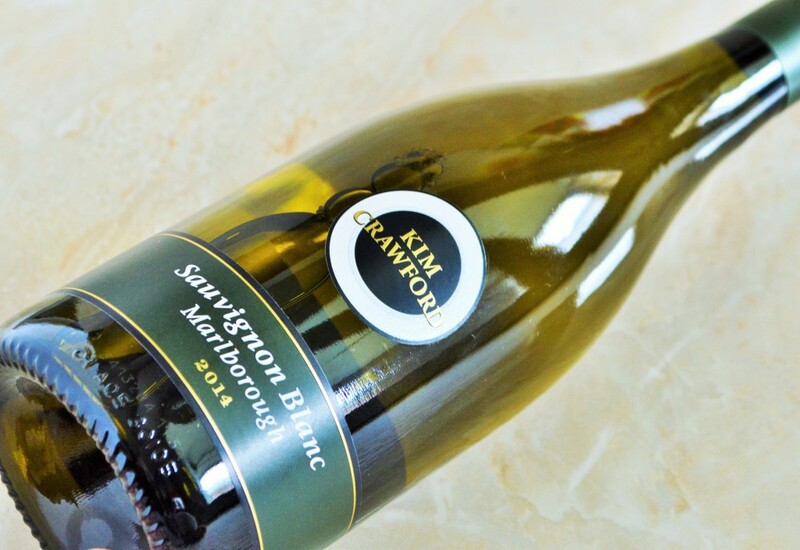 If you’re looking for a nice upgrade over the ubiquitous Cupcake Sauvignon Blanc (also available in the Costco Wine Section) without jumping to the level of say Cloudy Bay, then the 2014 Kim Crawford Sauvignon Blanc is a nice option.